Price Reduced. The Smith-Heffner Cattle Farm is unlike any cattle operation in the Southeast. 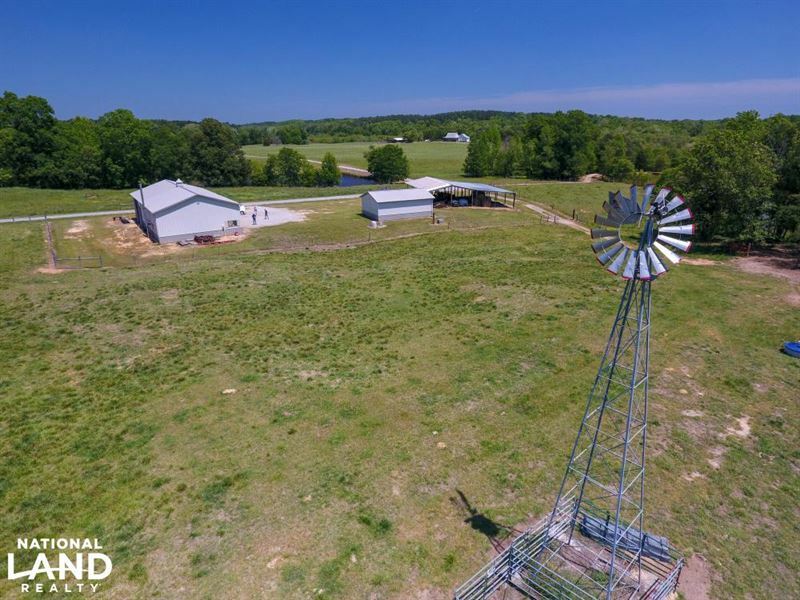 Over 730 acres of beautiful rolling hills with immaculately maintained pastureland frame its unique features that include 13 well-stocked ponds, three 3Br/2Ba homes with gorgeous views at opposite ends of the farm. Highlights also include roughly 1 mile of the South Fork Duncan Creek running through the property, 2 Morton equipment buildings, a hay barn, cattle barn, run-in shed, working shoots, miles of fencings and cross-fencing, and everything else needed to run a 450+ head operation. The pastureland consists of lush fescue, Bermuda, wheat and annual rye, and is set up for hay cultivation. Timber on the property consists of mature natural hardwoods, providing shade for the cattle and excellent cover for deer and turkeys. The Smith-Heffner Cattle Farm uniquely neighbors the Sumter National Forest that is teaming with wildlife and holds miles and miles of riding trails for the outdoor enthusiast. This property is truly one-of-a-kind. Farms like this don't come available very often, so call today to schedule a tour.